Clasford Stirling MBE, Youth and Sports Development Officer. 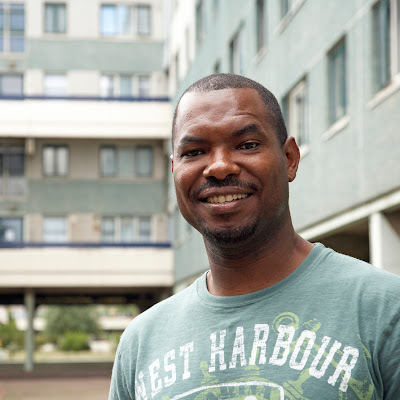 Clasford and his team of dedicated volunteer coaches has developed one of the most successful football academies in London. Clasford Stirling Broadwater Farm Youth Association Festival 1984. 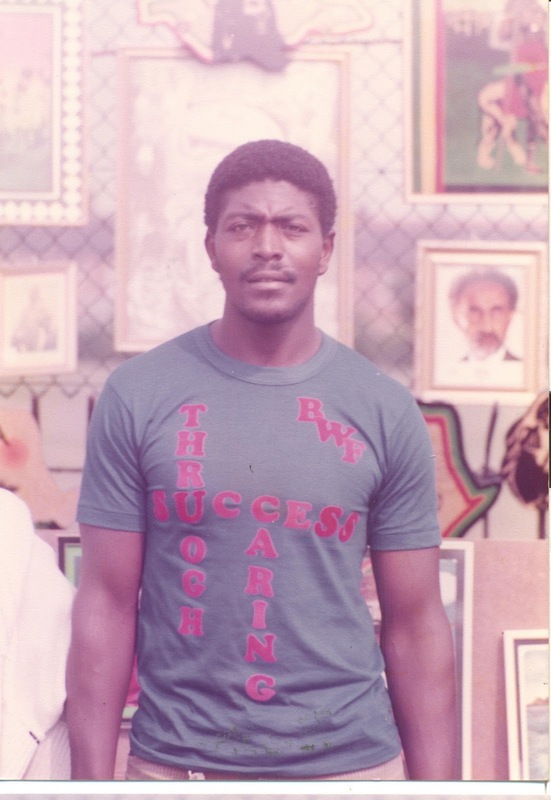 A founding member of the Youth Association in 1981, Clasford has been a guiding force behind all major change ever since. 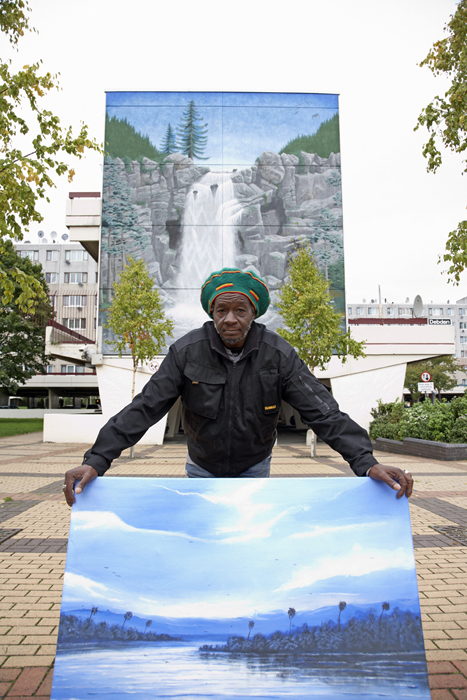 Artist Bernette Hall in front of his Waterfall mural painted between 1990 and 1991 with one his more recent paintings. Photograph by James Burns 2010. Bernette Hall showing art produced by the community to Princess Diana, 1985. 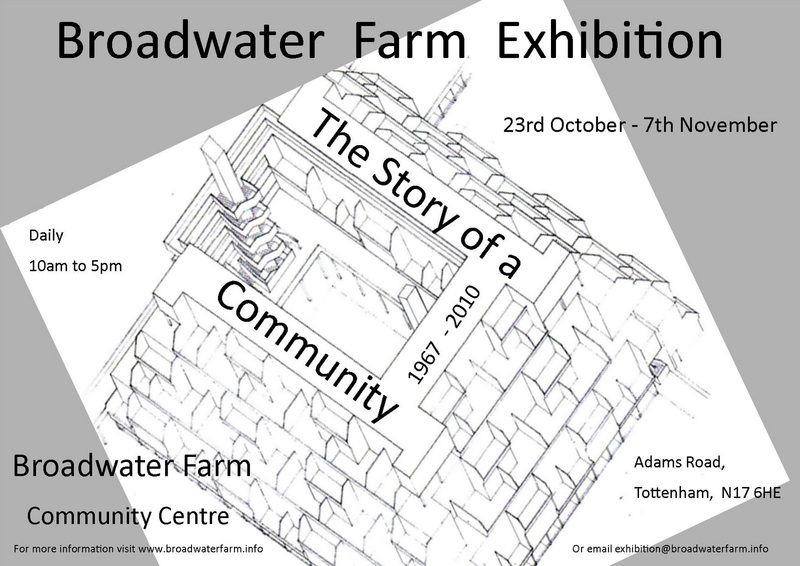 Photograph by Broadwater Photographics. 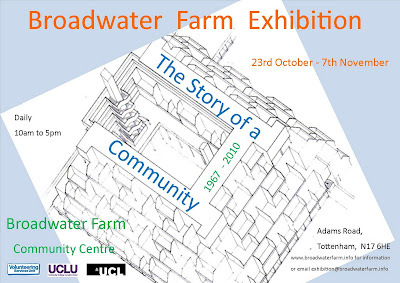 Children from Broadwater Farm interviewed members of the community as part of the exhibition project. Below you can watch them talking to Bernette Hall. 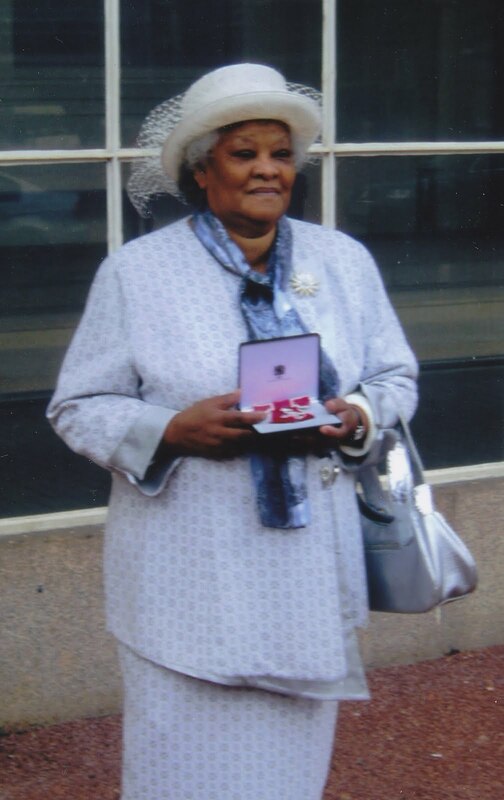 'Auntie May' is a long serving campaigner of the rights and needs of Broadwater Farm residents and tirelessly fought to build the Health Centre. 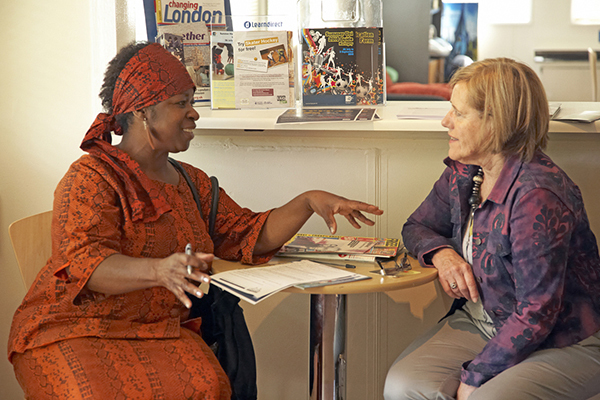 A former chair of the Residents' Association, May's much loved Gospel Concert, in aid of children with sickle cell anaemia and thalassaemia, is now into its eleventh year and takes place in October at the Community Centre. Sister Eileen McGrath has lived on Broadwater Farm since 1995. 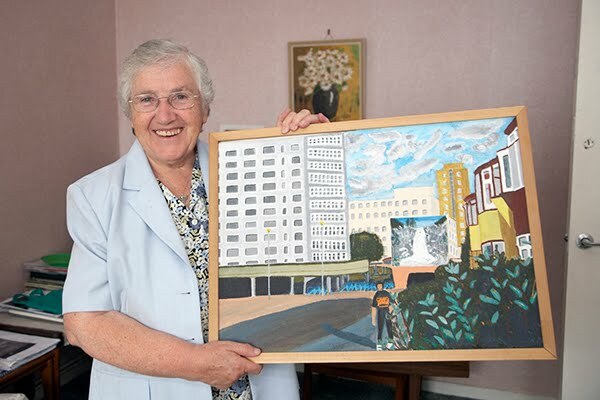 An active member of the Residents Association, Eileen has been involved in many projects there over the years including the Health Centre, or the 'jewel in the crown' as she likes to call it. 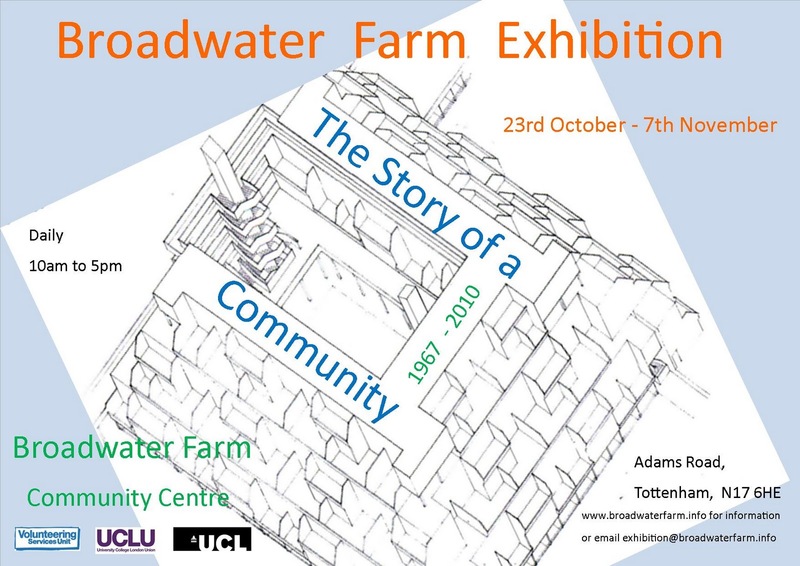 In 2003 Eileen produced a photographic exhibition called 'Glimpses of Broadwater Farm' which you can see in the books section. Photograph by James Burns 2010. George Martin helped found the Enterprise Units for small businesses on the Farm and still manages them in a voluntary capacity. George also helped to found the West Indian Cultural Centre in 1984 by Turnpike Lane. Photograph by James Burns 2010. Nick Labiche Outreach Worker, Church on the Farm. 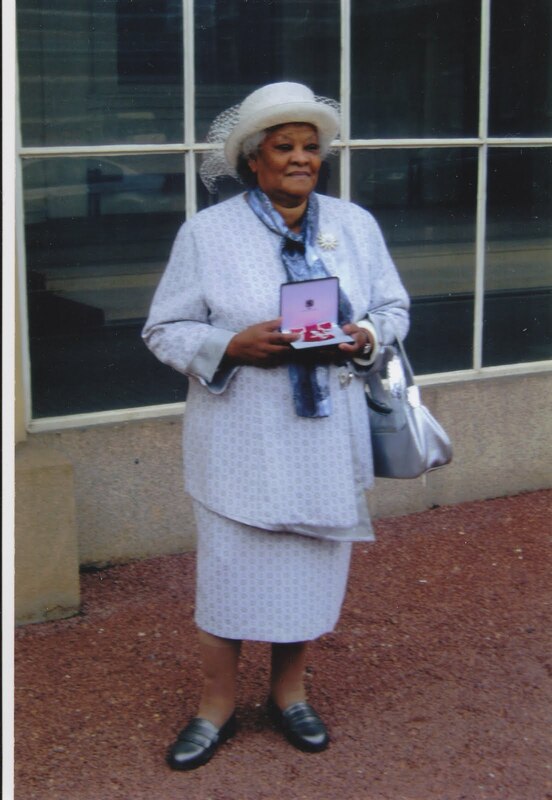 Photograph by James Burns 2010. 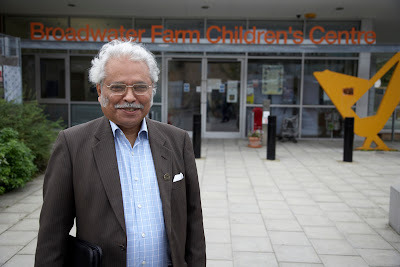 David Singh, Chair of the Residents' Association. 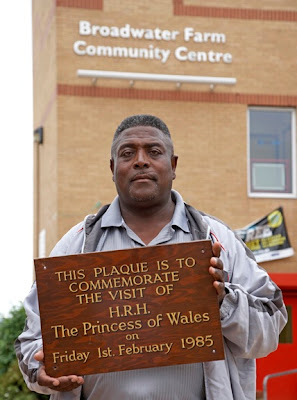 David has been an active member of the community for more than 30 years. Photograph by James Burns 2010. 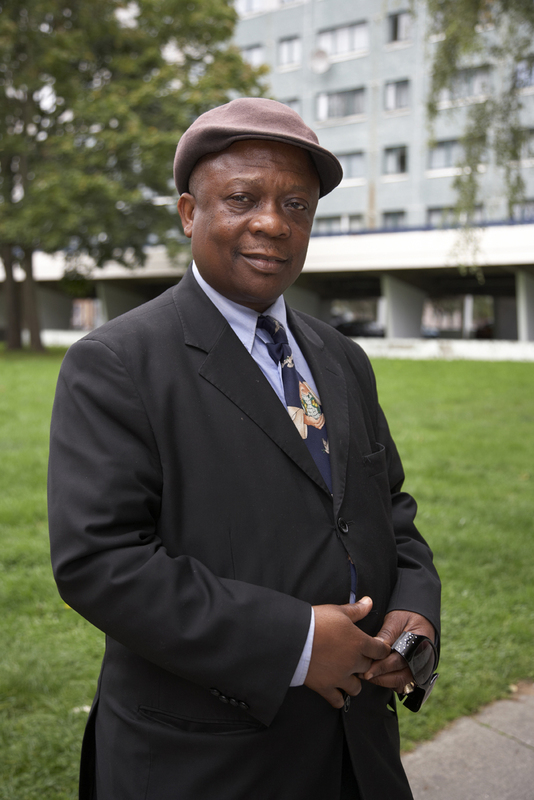 Bishop Kwaku Frimpong-Manson, or 'Bishop', former chair of the Residents' Association for more than ten years. Photograph by James Burns 2010. Residents Inga Bystram and Terry Burton. 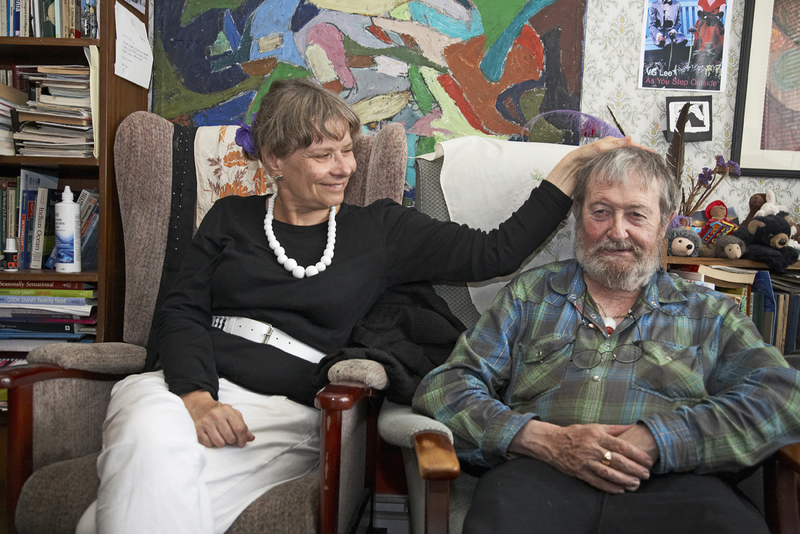 Inga is an artist with a passion for painting musicians and likes to sketch the Farm on her walks with Terry. Photograph by James Burns 2010. Hodaya of Mighty Veg Delights and Lesley at Church on the Farm. Mighty Veg Delights trades out of one of the Enterprise Units on Willan Road. 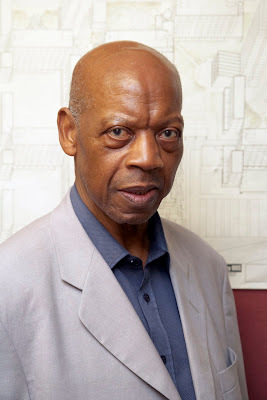 Photograph by James Burns 2010. In 1985 Broadwater Farm experienced one of the worst nights of civil unrest anywhere on mainland Britain. It shocked the nation and nearly destroyed a community. 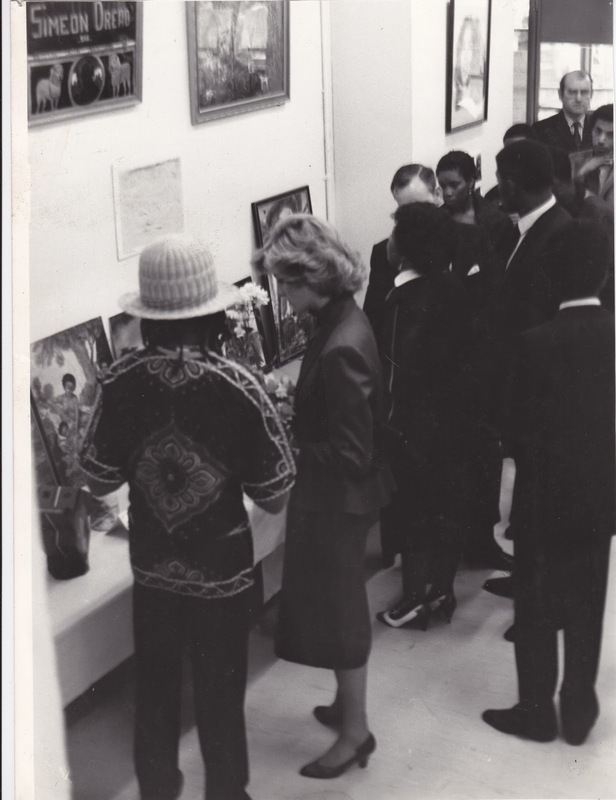 Just months before, Diana Princess of Wales visited to congratulate the Broadwater Farm Youth Association on its success. Today Broadwater Farm is seen as a model of social housing, attracting visitors from around the world. 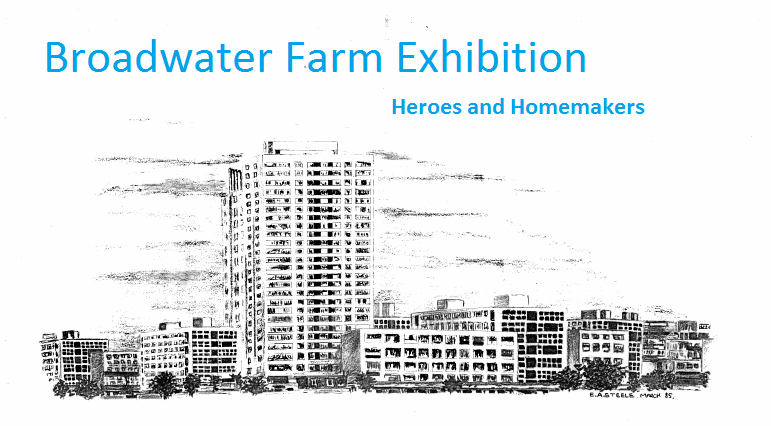 This exhibition will explore the heroic achievements of a community who from the very beginning fought against all the odds. 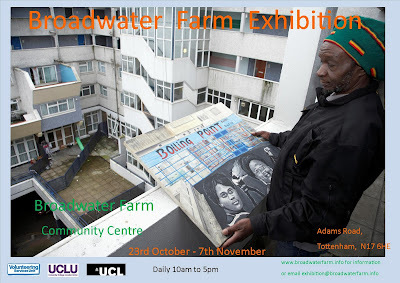 October 2010 at Broadwater Farm Community Centre. 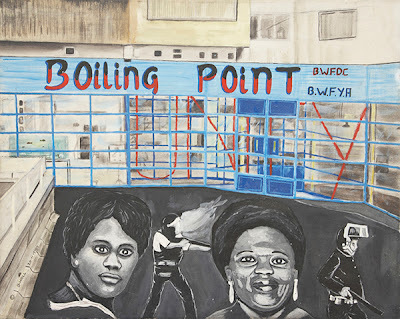 Now on at Bruce Castle Museum June 2011 to September 2012 - in the main gallery since April 2012.